Are you a developer? Combuctor provides a rich API for developing plugins and extra rulesets! Please consider supporting Combuctor by becoming a patron or submitting a donation. Is this also under the GPL? The license file seems to be missing or I just can't find it. Looks great though! Please update to 8.1 and soon to 8.1.5! Let me start by saying this is one of my most fav addons. I would be lost without it. Please keep that in mind. However, am I the only one that has noticed that things seem to be missing a lot of the time. I will get a reward item, it says in chat that it has been delivered but, it's not showing in my bags. I love this addon. I don't want to replace it. I mean, it would be hard to find a replacement. I hate the others. They look... whackyjaw to me. Tried out Bagnon by the same author, it doesn't come close to this. 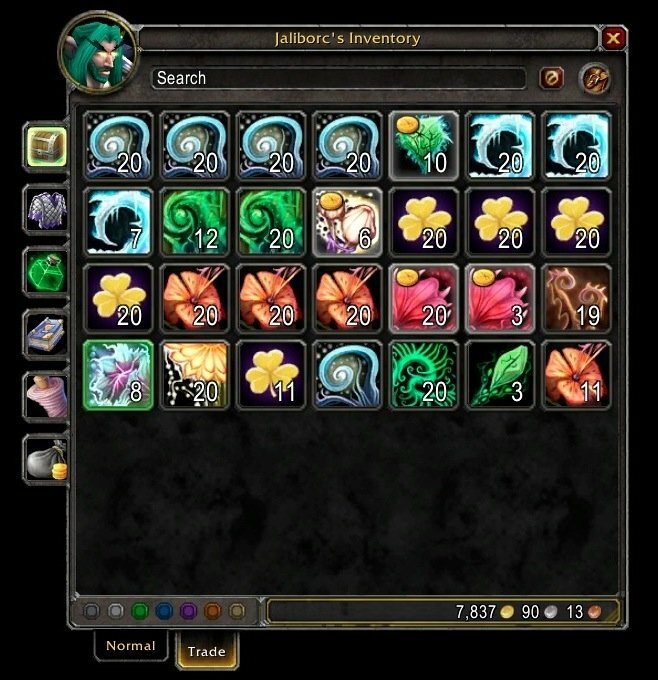 Please consider updating this addon to allow sub-categories for Tradeskills, Armor, etc... as well as an option to use all settings as a Global Profile using the Blizzard AddOn Profile system or similar to SexyMap's Use Global Profile option, so the same settings can be used on all characters. This addon allowed me to replace AdiBags & Armory, so even if you don't update it, it's awesome! Hopefully this addon can get some lovin'. It's unmatched by most anything else available, LOVE how it keeps the Blizzard Artwork. Last edited by Trommy : 10-23-16 at 07:27 AM. 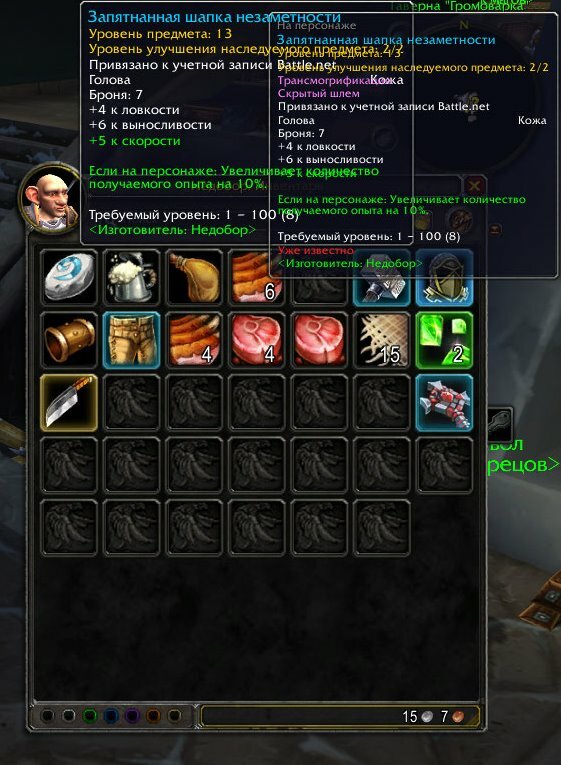 (*temporary) = "attempt to index field 'Settings' (a nil value)"
hasItem = "[Dreadleather Bindings of the Quickblade]"
any way to get the items ilvl to display on the items in the bags? like a little overlay. 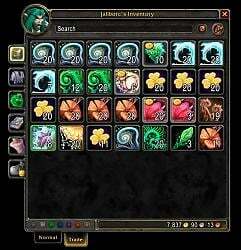 can we get a dump all reagents to bank button? 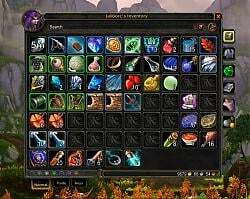 would it be possbile to create a filter/tab for follower upgrade tokens? how do i look into the new bank reagents bag without using the tradeskill tab workaround? I hope you keep this going, it's the nicest bag addon imho because it keeps the classic look. And it's super simple. :-) Thank you! That list does not include "implementing features you pay me to." Do not feel obligated at all to donate to me. I enjoy what I do and have no plans to stop if I do not receive even a dime from this. If you don't want to donate money directly to me, please consider subscribing to your favorite addons site where I host my projects. All of us addon authors depend on them greatly.